Announcing New Products & Specials!!! 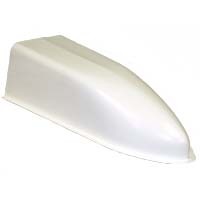 This fiberglass nose piece is used in Comp. Dragster applications. Overall length: 31". Height at back: 10". Width at back: 10 1/2". Width of nose 24" from back: 8 1/4". Width of nose 12" from back: 9 1/2". ©McKinney Corp. Race Cars. All Rights Reserved.